As we enter August, despite the lovely heat, we’re reminded that Autumn is around the corner, and with it arrives the gorgeous cosy prospect of Autumnal weddings. 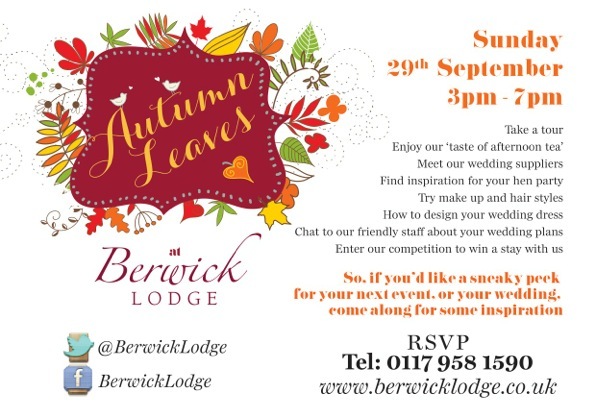 If you are planning a wedding in the Autumn, where better to begin investigating than at the ‘Autumn Leaves’ Wedding Open Afternoon at Berwick Lodge? Berwick Lodge is opening their doors for an afternoon celebrating the arrival of Autumn on Sunday, the 29th of September, from 3-7pm. Come along to meet wedding suppliers and to chat to the staff at Berwick about your wedding plans. Lisa, from Lisa Keating Bridal, who has more than 27 years of experience designing and making wedding gowns, will be sharing brief 15-minute talks about bespoke wedding gowns (and how to design your very own dream gown). Lisa will also be showcasing her collection of Bridal-wear and Corsetry that will be available to try on during the event. 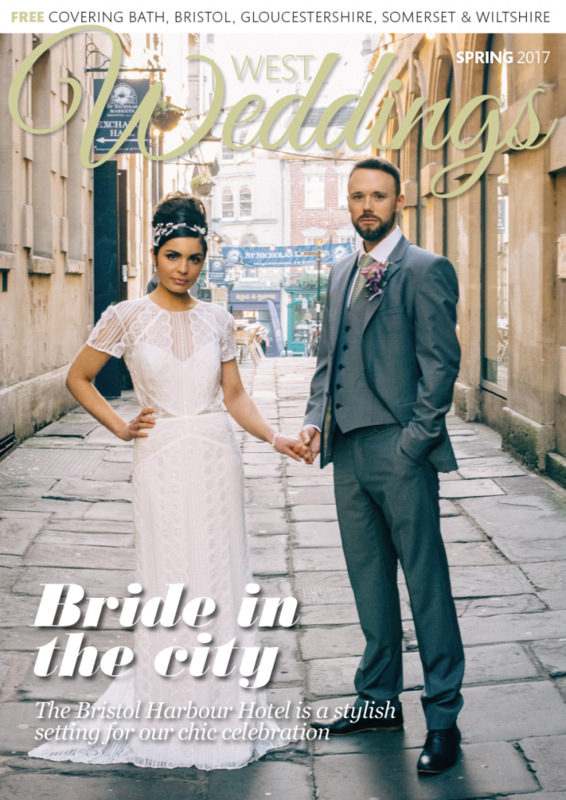 Makeup artist Vicki Waghorn, whose eight year career has seen her become a well-loved staple in the region’s wedding industry, will be presenting regular demonstrations and tips on wedding hair and makeup. She will also be available to offer advice on all aspects of your wedding beauty (on a one-to-one or group basis). Other wedding suppliers include styling by The Little Wedding Helper, photography by Frances Taylor, cakes by Anna Tyler, vintage wedding cars by Triggols, bespoke stationery by Lizzy May, flowers by Daisy Lane Floral, pianist Matthew O’Connor, vocalists Lyrica and Bust A Groove, chair covers and ceremony room dressing by Ambience, and vintage style wedding craft by Gift Frippery.